The AWP (Association of Writers and Writing Programs) is over, so today I'm going to be a tourist. I'm going to be an American expat exploring my country's history. I'm going to wander back to the first hours of my country's life when Paul Revere cried, "The regulars are coming, the regulars are coming!" And to this end, I'm going to glide right down from the 33rd floor of the Westin right now and ask the concierge where the hell I am. See, orientation has never been my strongest or longest suit. Without Peter the Giant Caterpillar Pedicurist here to lead me around, I'm a bit lost. As you know, if you've kept up with my travels for the last five years, I'm mainly in charge of being adorable. While I've managed quite well in this regard on my trip to Beantown, I've walked the wrong way more than a couple times. Unfortunately, today will be no different. ME: Good morning, delightful concierge. Ah, Marise. Pretty name. From Brazil? Concierge: You are so adorable. ME: I try. 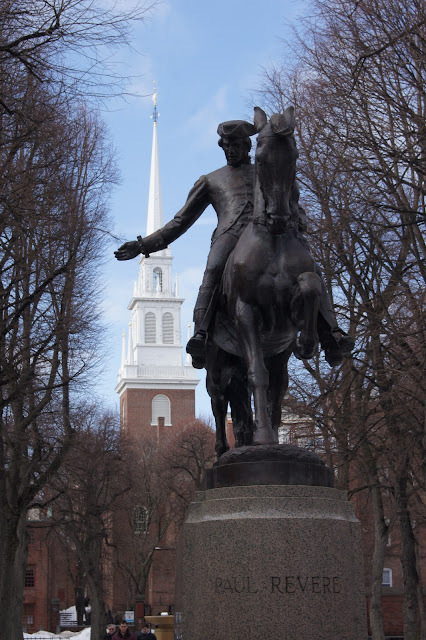 Marise, I would like to go on a walking tour of Boston that will plumb the depths of my formative childhood years spent folding colonial hats out of newspaper and pressing copper imprints of Liberty Bells and Benjamin Franklins. Concierge: I have no idea what you just said. ME: Sorry. I want to go on a walking tour of all the historical stuff. Concierge: You want the Freedom Trail. She pulls out a map and shows me the Freedom Trail, a red line zigzagging through Boston, after the Commons. I've already hiked to the Boston Commons, so I have a pretty good idea where it starts--but I'll never be able to follow this route with its twists and turns, zigs and zags. I can't read maps. Concierge: Oh it's not. It's made for people like you. See, the route is marked on the ground. All you have to do is follow the red line. ME: If only life were this simple. As usual when I travel, I'm pretty darned clueless when it comes to what will come. 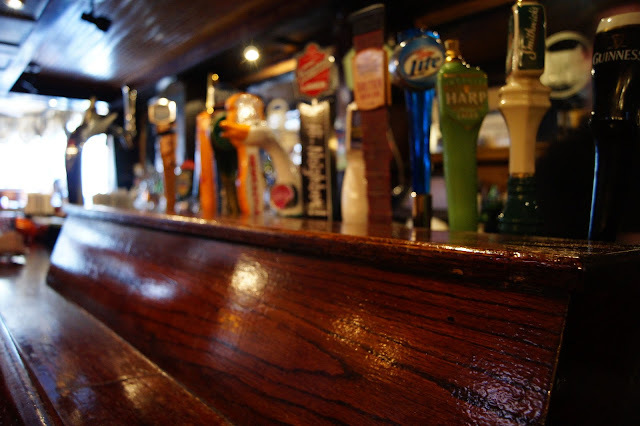 I know the walk from the Boston Commons to Breed's Hill and back will be 5 miles--an acceptable Sunday morning stroll. I do not know that the Freedom Trail was invented by William Schofield, a veteran newspaperman working then for the Herald Traveler; nor do I know that the Freedom Trail connects 16 historic sites (Wikipedia lists 17 actually) or that its original name was not Freedom Trail but Freedom Way, with delightfully alliterative, yet unsuccessful, trial names such as Puritan Path and Liberty Loop. I'm also blissfully ignorant that the Freedom Trail became a reality in June 1951 and that its distinctive red--sometimes paint, sometimes brick--stripe wasn't added until 1958 (I could be wrong about this last part, so if you're in junior high don't go citing me in a research paper--unless you say I'm adorable). 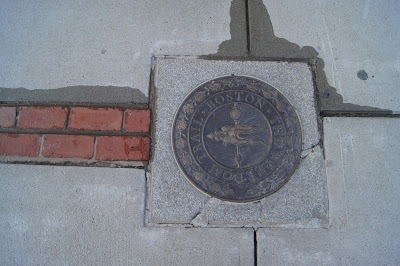 At Boston Commons, the trail leads up to the Massachusetts State House, which I've already seen from the day before when I walked to the Commons--so I skip it and head up the street, careful to follow the red stripe on the sidewalk. My first stop on the Freedom Trail is a building that is apparently on fire--yet there's no fire to be seen. There are dozens of fire fighters and at least four fire engines. 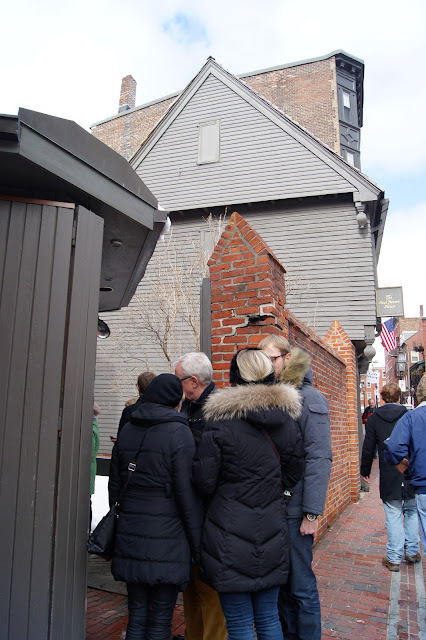 So I stop and watch with lots of other curious Freedom Trail tourists. It's directly across from Park Street Church where William Lloyd Garrisons gave an important speech condemning slavery, which is a real stop on the Freedom Trail. It's closed to tourists on Sundays during services, so that's why I'm standing on the sidewalk, waiting for this buidling to the left to burst into flames. .
My next stop is The Green Dragon Tavern. It's lunchtime. Give me a break. I'm positively surprised by how reasonable the prices are here in this quaint pub. They have Magners cider on tap and an interesting menu. The burgers are all named after founding fathers, so I feel justified in stopping here. I allow myself the 'freedom' of having a rare burger and Freedom fries, free of a bun of course (so gluten-free). And another cider--because I'm feeling free. I also notice about five minutes after leaving The Green Dragon that I've forgotten my backpack. Thank God for sweet people. 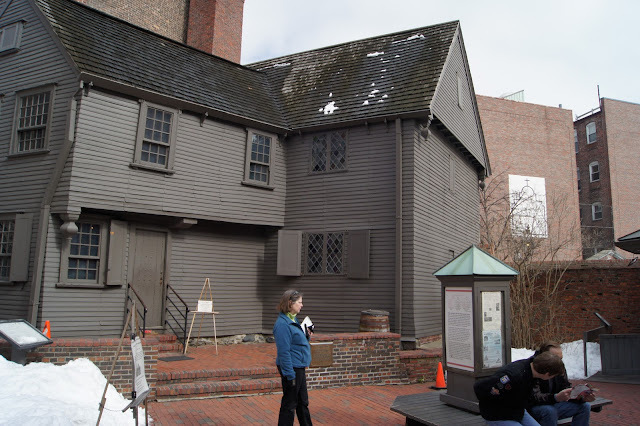 The next stop on the trail--if you walk right by a few historically important sites without seeing them as I do--is Paul Revere's house. This attraction will set you back $3.50 if you are an adult--again, you junior high kids should probably be reading something a bit more reliable--but it's well worth it. To learn the most from this four-room house, you need to ask questions. I did, and I learned so much about how the family cooked, who lived in the house, how many times the house was renovated, the living standards back then, etc. A lot of history is jammed into these four rooms. And, yes, I realize I haven't actually shared any of it with you. The most interesting stop on the Liberty Loop is without a doubt The Old North Church. What a wacky place this is. 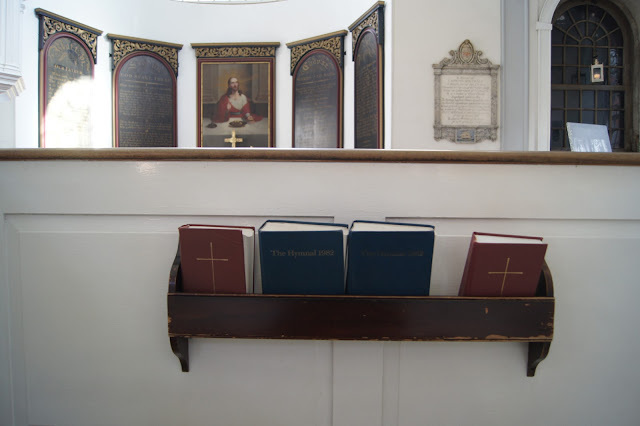 First of all, there are no pews but boxes with chest-high walls, which families rented and decorated any way they wanted. 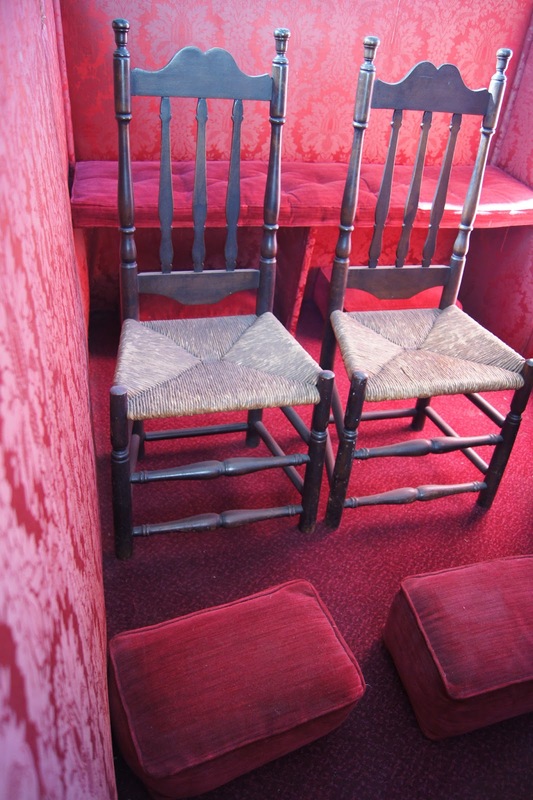 I reckon there were no posters of Shakira in these boxes, but I'm sure the colonists made themselves comfortable. I hope I'm right in assuming this construction was meant to help keep the congregation warm. Or it might have served to keep them separated, much like junior high school kids when they're talking too much or fighting. The somewhat obstructed view from inside a box. Maybe Bostonians were taller than I am? By now, I'm having flashbacks of fourth grade American history. I'm hearing Mrs. Duncan scream "One if by land, two if by sea!" which apparently no one screamed on April 18, 1775. While I'll always hold a soft place in my heart for Mrs. Duncan, I have since learned that if Paul screamed anything, it would have been "The regulars are approaching!" which seems like a mouthful to me. He would never haved shouted "The British are Coming!" since he himself was British. 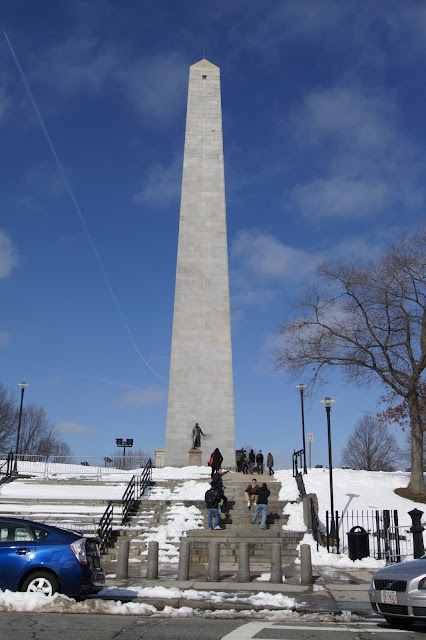 The Freedom Trail ends at the Bunker Hill Monument, which is actually on Breed's Hill. Bunker Hill, a few steps away, was the site of the colonists' heaviest losses. The battle itself is considered a Pyrrhic victory for the colonists, which means, although they technically lost the battle, the enemy's losses far outweighed its gains. The significance of the battle was that it showed the will and the passion of the colonists. I guess you can put this in your research paper. 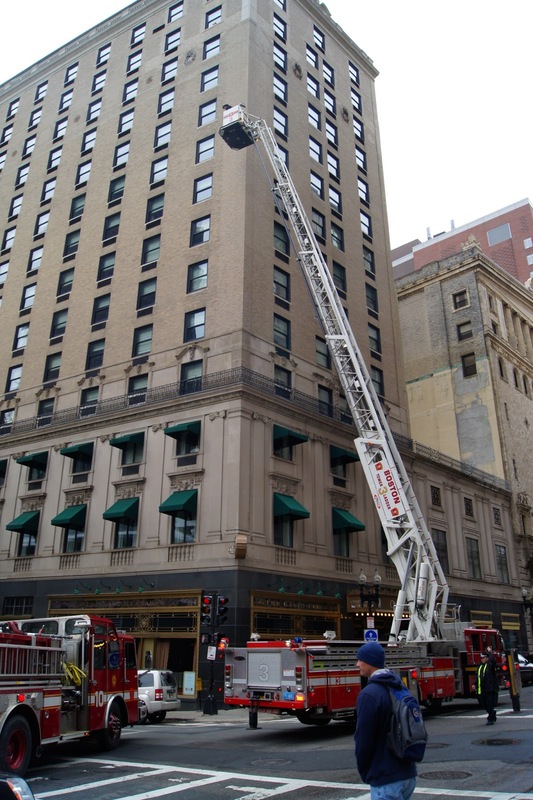 Be sure to site it in the following way: "Five Days in Beantown -- Day 5". www.imustbeoff.com. Christopher (Adorable) Allen. Blogger.com. The walk has been pleasant but nippy. I do feel as if I've come a bit closer to my country's history. I have a couple of blisters and few more wrinkles in my brain. If you are a writer and you're thinking about attending the AWP Conference (Association of Writers and Writing Programs) in Seattle, check out the first four days of this trip, which focus mainly on the conference. Christopher Allen is the author of the absurdist satire Conversations with S. Teri O'Type, a scathing parodic pastiche about how our TV culture creates gay identity in modern America. Available in paperback and Kindle from Amazon Anything. Great city with great history - glad you're enjoying it. You ARE adorable, no doubt about that, and a great writer to boot (i know, i know flattery will get me everywhere). 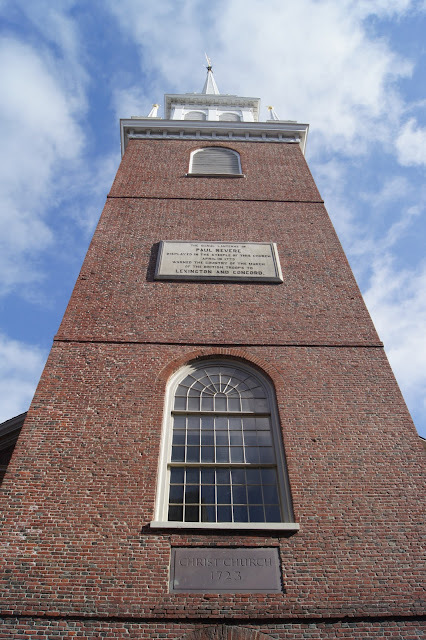 I've walked part of the Freedom Trail - had to stop when my companions' feet started killing them - so I'll be sure, when I get back to Boston and the snow has melted, to walk the rest of the trail you so eloquently described. The Old North Church and the The Rose F. Kennedy Rose Garden by the Boston Harbor were two of my faves. Hi, Dora! 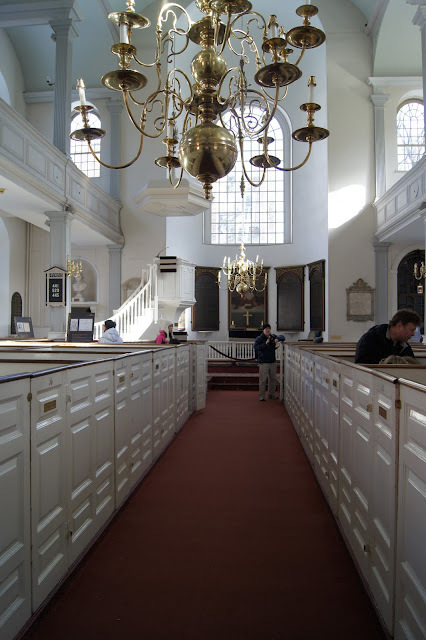 Yes, the Old North Church was worth the visit. The museum at the harbor was pretty good too. I walked the Freedom Trail years ago. I remember really enjoying it! Hey, Michael! Thanks for stopping by! I love your conversations as you report them. They crack me up. And I love Boston as a place to get a sense of the US. Of the places I've been I think it is most effective at giving a sense of history (even compared to someplace like DC). Probably it was its centrality in the revolution, which is more tangible than a bunch of monuments and documents.